Colby Covington is none too pleased with the Ultimate Fighting Championship (UFC). Covington won the interim UFC welterweight title back in June. He scored a unanimous decision win over Rafael dos Anjos. While it looked like “Chaos” would be in a unification bout with welterweight champion Tyron Woodley, he ended up being the odd man out when he underwent nasal surgery instead of fighting on the UFC 228 card back in September. White has made it clear that he didn’t appreciate Covington undergoing nasal surgery when he did. He feels Covington missed out on his opportunity. 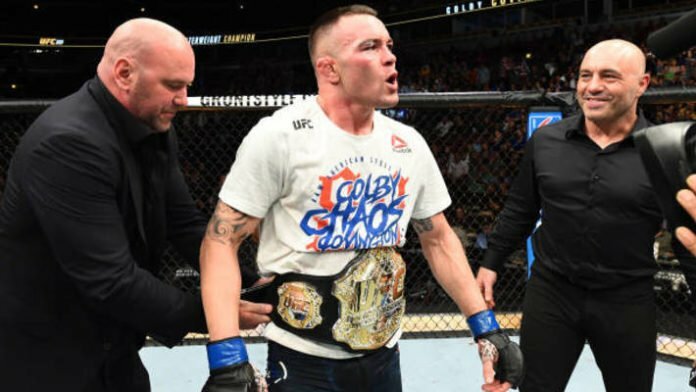 Do you think Colby Covington will be sent packing, or will he remain on the UFC roster?